After all, if you are making the pattern, the only limits are your imagination and your technical ability (both in sewing and in understanding and therefore drafting patterns). But, maybe it is fortunate that there are some limitations to designing a dress for the draft-along. Depending on the kind of sloper you are using, you may have noticed already why a dress with a waist seam is 'easier' technically: many drafting methods use a waist length bodice as their basic shape (I think this can be inconvenient with a lot of contemporary clothes and I prefer methods which also pay attention to a hip length bodice but it's absolutely fine for a vintage-style dress) and having a waist seam allows you to use the full spectrum of dart rotation options. And you can basically define drafting a dress pattern as: drafting a bodice and picking your prefered skirt style. Those are the technical considerations. The style ones are a little trickier. The words 'vintage style dress' mean different things to different people. Everyone has her prefered fashion eras. Some of you may want a period accurate creation while others really need their dress to work in an everyday environment (maybe even to be worn among people with little tolerance for alternative looks). And, also quite important, we all have different body shapes. As far as fashion eras go, the technical limitation of the waist seam sort of limits us to late 1940's to early 1960's styles. This is an era which lot of people in the sewing blogosphere love, so I don't expect any problems there. Of course, you can take inspiration for details in your design from any era you like. In my opinion, the look you want to achieve should always be considered in relation to my third point: body shape. The fashionable body shape of the 1950's was, quite obviously, the hourglass. Today, it's mostly the ruler. Back then, there was foundation wear on offer to give yourself a fashionable silhouette (think waist cinchers, girdles, cone bras). Nowadays, we diet and/or exercise (of course I know it's not that black-and-white, but I'm just trying to make a bit of a point). My point being: a 1950's style dress won't instantly make you look like Dovima (Dior's favorite model). So, take a good look at your own body. We're absolutely not talking size here. We're talking about shape and proportion (today's truly hourglass shaped girls tend to have a lot of trouble shopping for clothes and may well think themselves bigger than they really are). The hourglass may be the 50's ideal, but don't worry, there are plenty of ways to trick the eye. I think I will explain my tried and tested tricks, as well as some common-sense solutions for other body types, when we discuss drafting options. By the way, the picture I put with this post is the silhouette of what may just be the most recognisable vintage fashion look: Dior's "bar" suit, modeled by Dovima. I was looking for one of those 'shapes of fashion' line-ups in Google images, when I found a treasure trove of line drawings of 1900-1950 clothes on here, which is only a small section of this website. Despite the fact that its focus is a bit early for draft-along purposes, it's a great place to explore of dress inspiration (and keep in mind that 'don't likes' can be as important as 'likes' when it comes to design choices). Your ideas for the dress draft-along ares so well thought out and will be wonderful to follow from the sidelines, like I am doing! I wish I could join you right now, but I have a bunch of other projects on my plate :( but I look forward to referring back to your excellent guidance here when I need too... good luck with it all! I echo Carolyn's sentiments. I'm looking forward to participating in the draft along and reading your thoughts on the design process. Thank you! This shall be interesting. I'm definitely one of those modern boards, about as far from that classic fifties hourglass as you can get, and waistbands at the natural waist are rarely flattering on me. I think I have a style in mind, however. Fascinating ideas. 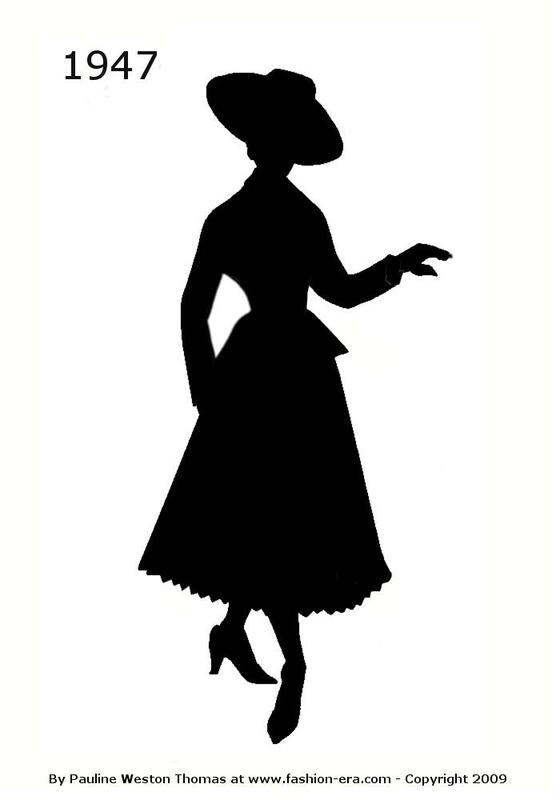 I've been thinking a lot about silhouette, balance and proportion lately and love that you are giving (rare) thoughts on the subject for burgeoning patternmakers. I hoped to join along but unfortunately have too many other projects in motion to be working on a sloper, but I will definitely be following and perhaps draft-along later this year! The book I have used for basic blocks has you draft a hip-length sloper for dresses and she suggests using the bodice only for tops and skirt only for skirts. On the subject of silhouettes, I like how the mid to late 60s took on more of the 20s shape, of narrow top and flaring out toward the bottom. I look at all those pattern illustrations from that era and they seem to exaggerate narrow shoulders and bust. 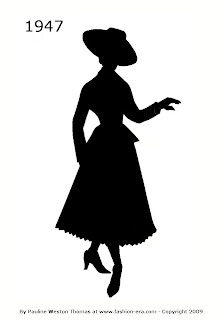 Since I'm naturally more "pear" shaped like this, I'm thinking of experimenting with these silhouettes.